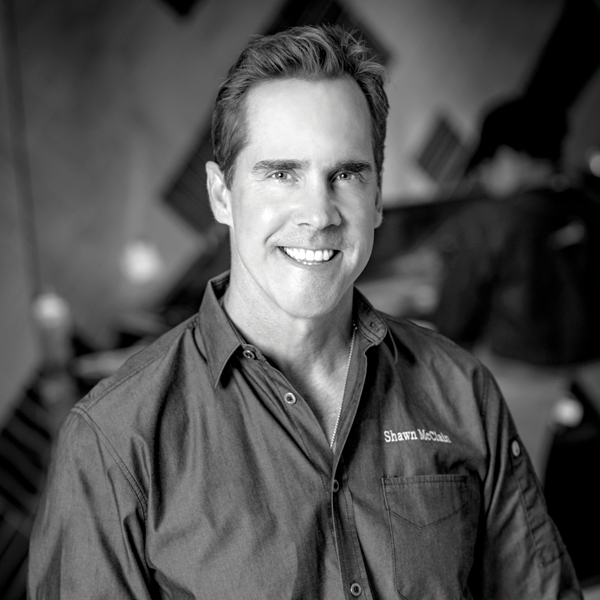 Chef Shawn McClain’s portfolio consists of both high end and casual restaurants each offering ingredient-driven cuisine served in chic, high-energy atmospheres. An aptness for letting ingredients shine through his use of technical skill and creative couplings has forged the way for McClain’s illustrious career marked with a James Beard Award, an “Iron Chef” win and celebrated restaurant concepts in both Las Vegas and soon to be announced Detroit. A Midwestern native and 1990 graduate of the School of Culinary Arts at Kendall College in Chicago, Ill., McClain’s star rose quickly in the culinary world. He broke onto the national scene at Trio restaurant in Evanston, earning four stars from both the Chicago Tribune and Chicago Sun-Times. There, his style came into focus, one that juxtaposes global influence with Western foundations. Over the last 15 years, McClain has developed a collection of award-winning restaurants including Spring, Sage and his latest hotspot, Libertine Social. These inventive concepts earned McClain multiple accolades including James Beard Award nominations for Outstanding New Restaurant, Esquire magazine’s “Chef of the Year” and Desert Companion’s “Restaurant of the Year.” In addition, McClain’s culinary portfolio includes praise by The New York Times, Bon Appétit, FOOD & WINE and several other prestigious publications, as well as multiple national television appearances. In 2012, McClain put his skills to the ultimate test when he appeared on Food Network’s Iron Chef America and competed against Chef Marc Forgione. The epic battle paired McClain with renowned mixologist Tony Abou-Ganim and resulted in a win for McClain.